The evening primrose is a biennial plant that is perhaps best known for its seeds. Oil is extracted from the seeds and used for a variety of health problems. Native Americans used this plant not just as food but medicine too. It wasn’t until the 1930’s that researchers discovered the oil was powerful. Today it is used to help restore brittle hair and nails to a healthy condition as well as for many health ailments. 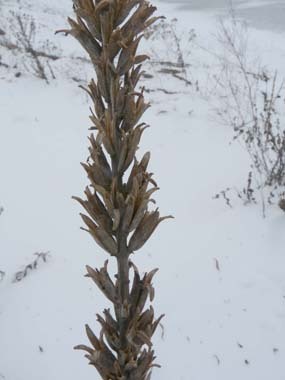 Distinguishing Features: This plant is an herbaceous forb that earned its common name because of flowering only late in the day and into the evening. Each flowers only last one to two days but one plant produces several flowers over a period of time. 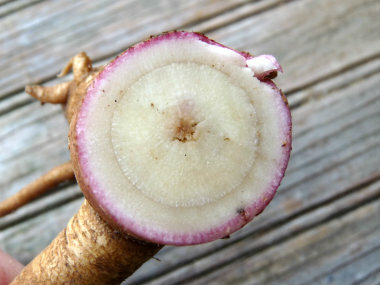 The stem does not grow until the second year, are hairy, and they may have tinges of purple or red. 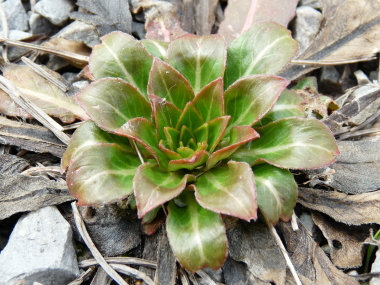 These plants reproduce by seed and each plant has numerous seed capsules that are upright. Evening primrose loves well-drained soils in full sun. 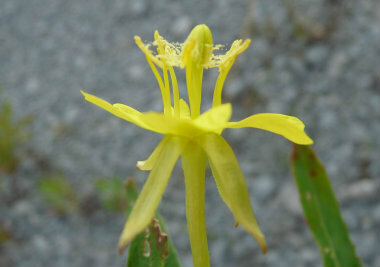 Flowers: This bright yellow flower has 4 petals, a stigma X-shaped, sepal turned down against stem; axillary and the terminal is above. It has a long flowering period from late spring to late summer; and the flowers tend to open late afternoon and into the evening. They have a mild lemony scent and its pollinators are bees, butterflies and moths. Hummingbirds are attracted to these flowers because of its nectar. 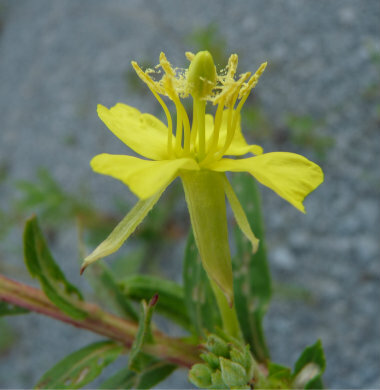 Fields of Nutrition has medicinal benefits and vitamin/mineral content of Evening Primrose. Leaves: The first year you’ll see elliptic to lanceolate shaped leaves that measure about 5 to 20cm long and 1-2.5cm in width. They have wavy margins, a prominent white mid-vein, perhaps some red tinges on the leaf tips and they grow in a tight rosette. The second year a stem grows and the leaves grow alternate and they become smaller with height. Height: This biennial grows anywhere between 30 and 150 cm (12-60 inches) in height. 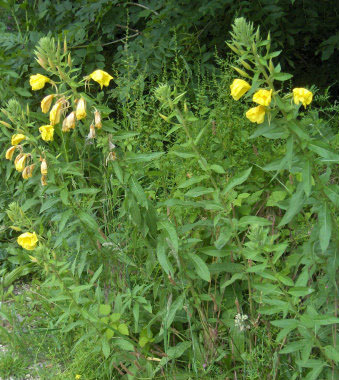 Habitat: Evening primrose grows in meadows, on beaches, in dunes, roadsides, and in waste places. This plant is native to Canada and the US and grows in all provinces (not the territories) and most states. It has been naturalized in Great Britain, parts of Europe, Russia, eastern Asia, South American, Australia and some Pacific islands including New Zealand. Edible parts: The roots of the first year are fleshy, sweet and somewhat succulent. 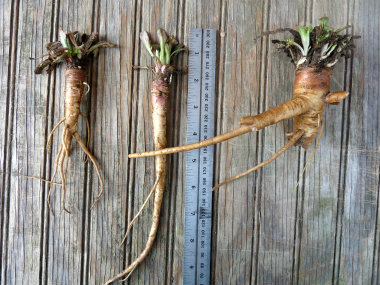 The roots can grow quite thick and long and resemble parsnips. Young shoots can be eaten raw or cooked (but do not eat a lot of these – sparingly!) The flowers taste great, a little sweet and can be used in salads. Young seedpods can be harvested and steamed or sautéed. It is a very good source of gamma-linolenic acid, an essential fatty acid that is not found in many plant sources. For more in-depth information (e.g. nutrition, medicinal values, recipes, historical information, harvesting tips, etc.) 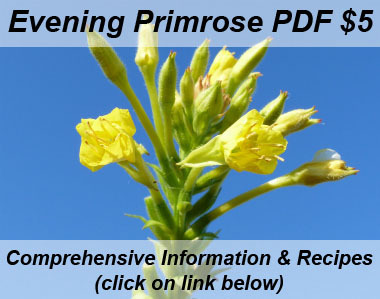 please check out our Evening Primrose PDF magazine.